Discover the orthodontic treatment that will give you the beautiful results you want. Sure, if you have crooked teeth this may be a telltale sign that you could benefit from braces. Of course, even teeth that are just a little misaligned could still benefit from orthodontic treatment. Whether your child’s teeth have just started to come in or you are considering braces as an adult, let our Midtown, GA, dentists Dr. Laura Koch, Dr. Andrew Soulimiotis and Dr. Sunny Patel help you decide which orthodontic treatment is right for you or your little one. Sure, no one loves the idea of sporting the metal-mouth look, but these braces still have a lot of value and purpose. 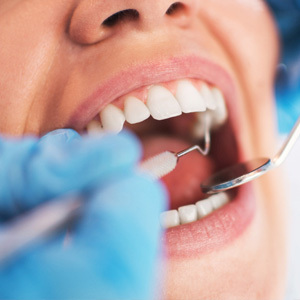 In a lot of cases, they are able to straighten smiles more efficiently, particularly in those who have complex issues. It’s important to keep in mind that these braces are not the same braces you may have remembered as a kid. Technology has advanced a lot, making brackets sleeker and lighter and wires thinner and less cumbersome. If you have to get traditional braces but you want a more discreet approach to this bracket-and-wire system you can choose to get ceramic braces. With clear brackets, they are an easier and often more attractive option for a teen or adult who doesn’t want everyone to immediately notice their braces. Of course, you’ll pay a bit more than you would with traditional braces but you’re paying for a subtle and more aesthetically pleasing option. While Invisalign is the most known name in nearly invisible orthodontic care, there are a few different clear aligner systems that can shift your teeth around. While Invisalign and other clear aligner systems aren’t right for children, they can be ideal for older teens and adults. The aligners are comfortable, can easily fit into your lifestyle, can be removed before mealtimes and before brushing your teeth, and you don’t have to come in to visit our Midtown, GA, general dentists as regularly. If you still aren’t sure whether or not you or your child could benefit from getting orthodontic treatment in Midtown, GA, then let’s sit down together and help you determine the best course of action. Call Dentistry for Midtown today to schedule a consultation.